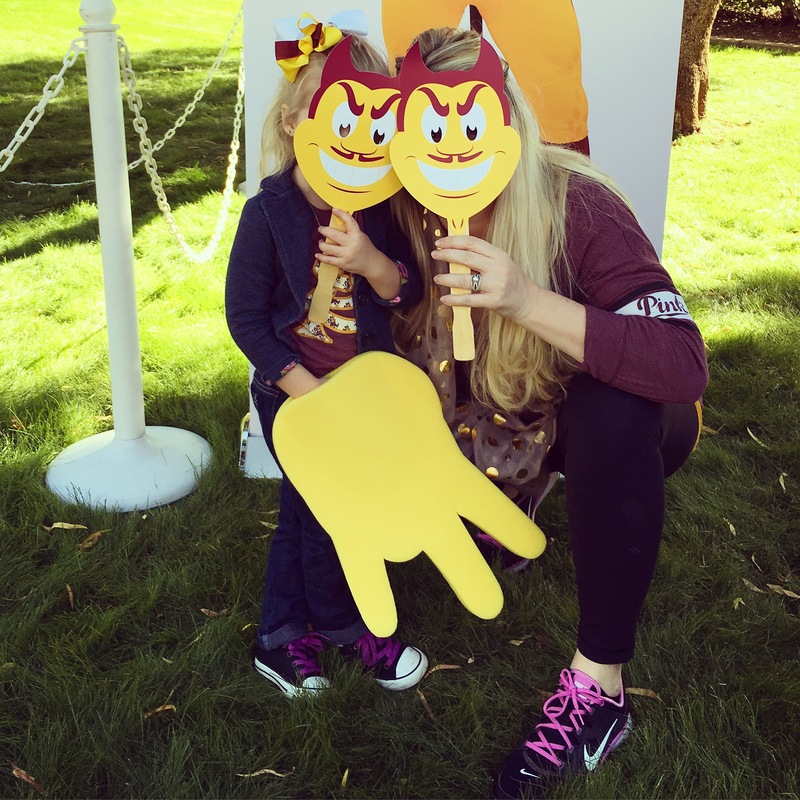 I am an Arizona girl, born and raised, and a proud Arizona State University Sun Devil! 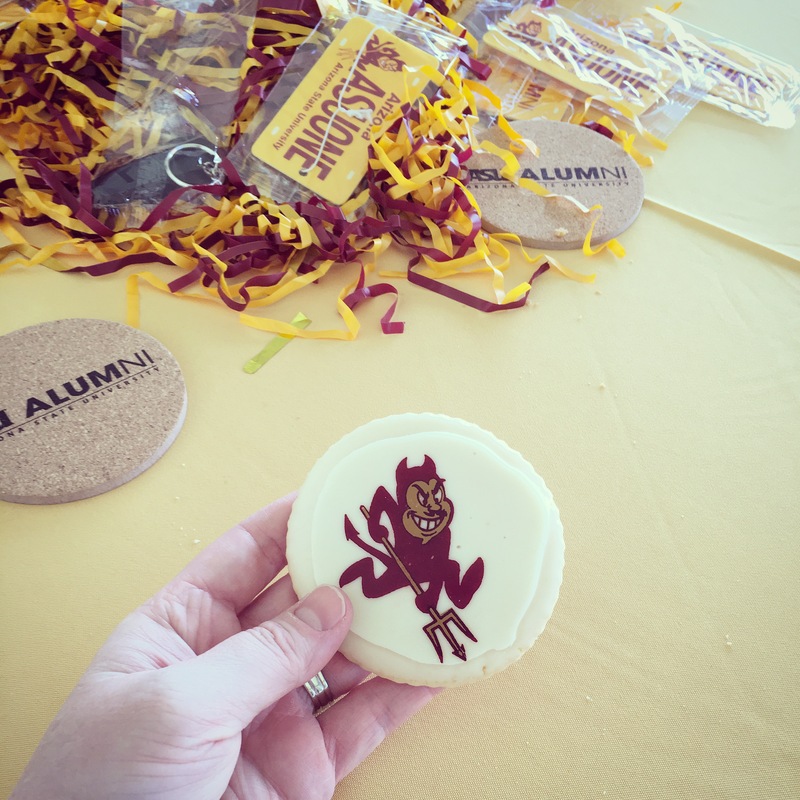 My 4 years at ASU were filled with great friends and fun memories, that helped shape me into who I am today. Being the middle child in my family, I was blessed with sharing my first two years of college with my older sister, and my last year with my younger brother. 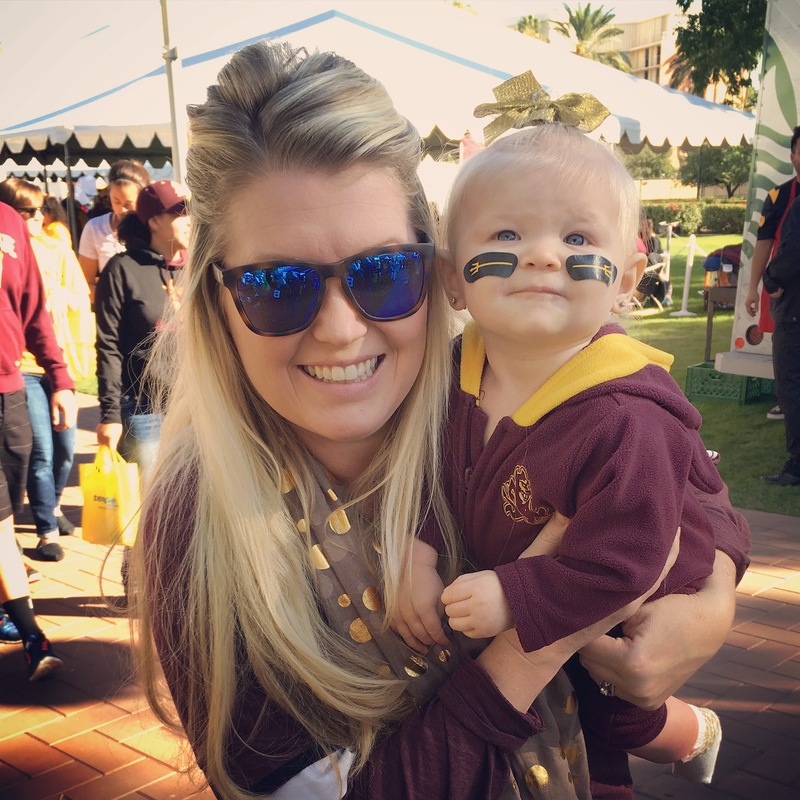 We truly are an ASU family, not to mention meeting my handsome Sun Devil husband on campus too! 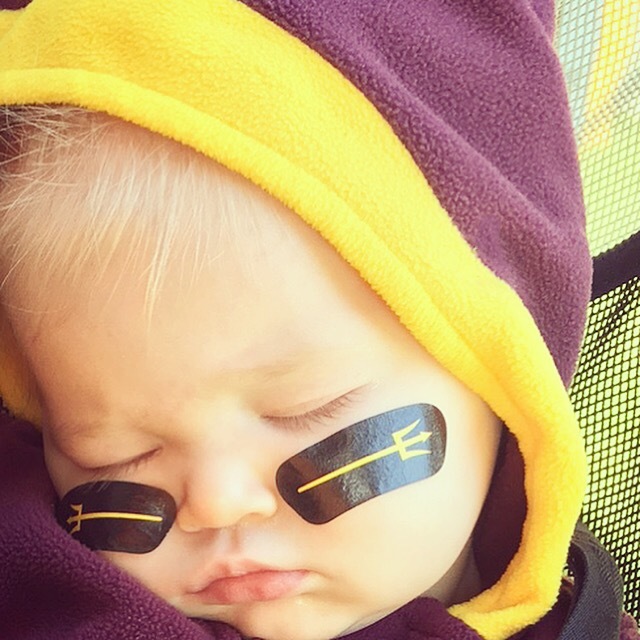 Every year my family has made it a tradition to go back for Homecoming Saturday and enjoy the maroon and gold spirit as ASU Alumni, and this year was particularly awesome! 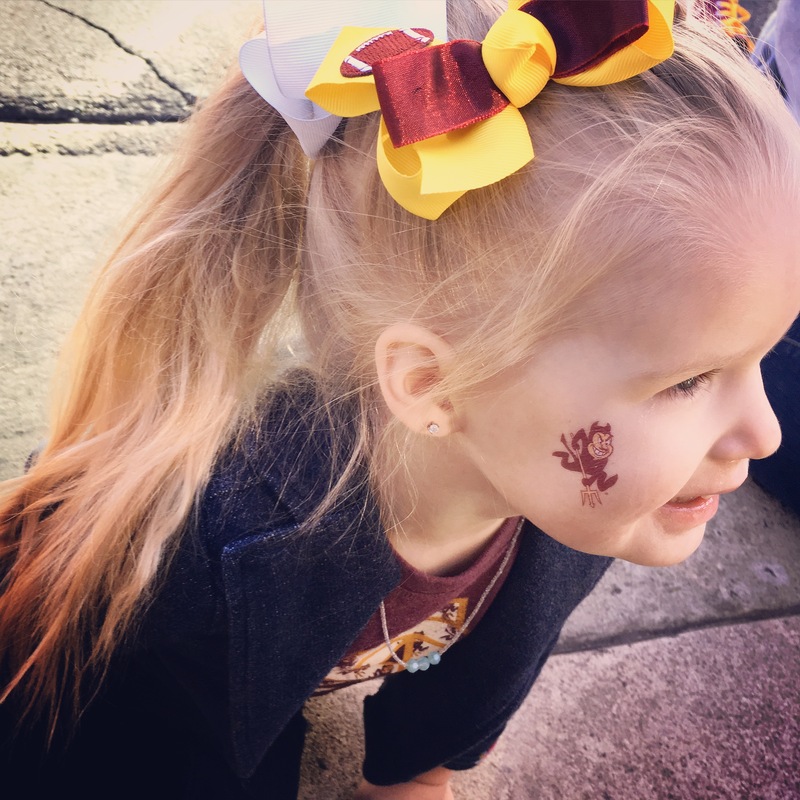 The weather was cooler than usual and it was so much fun watching my three year old get into the Sun Devil spirit! 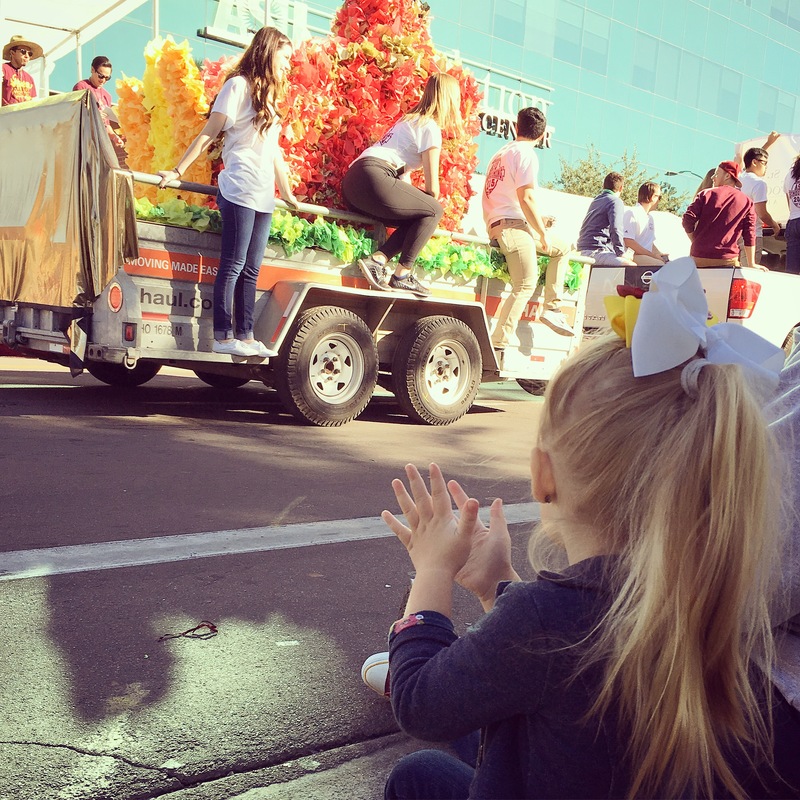 The parade was full of chanting & colorful floats, and the block party offered wonderful family-filled activities. Another bonus was hitting up all the booths of my previous organizations and reminiscing with old friends! It’s always a joy to be back, and especially when our football team wins. Here are a few photos of our fun-filled day back on campus. ASU! What an exciting day… Payton had way too much fun! 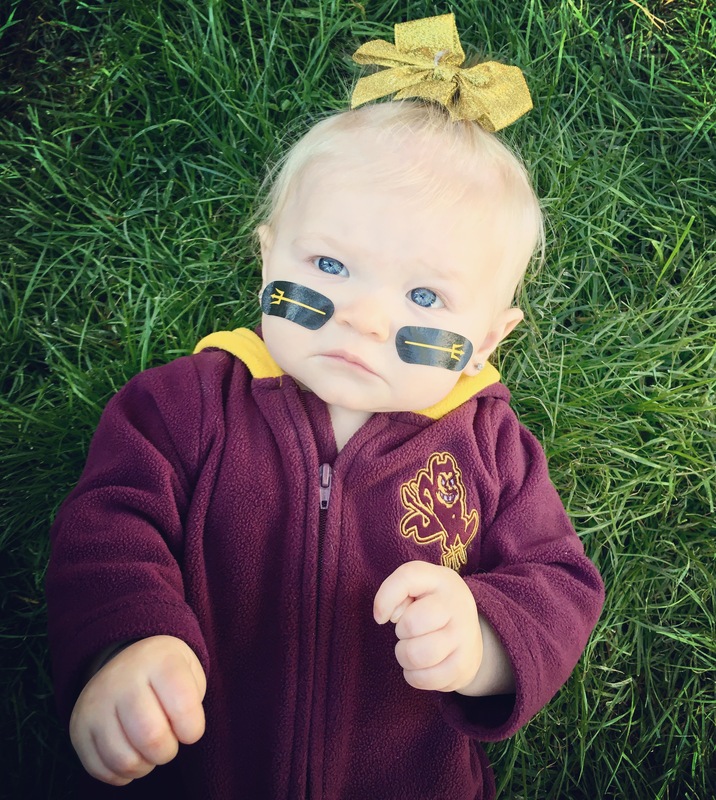 WATCH THIS VIDEO … It is never too early to get my girls excited to be Future Sun Devils! 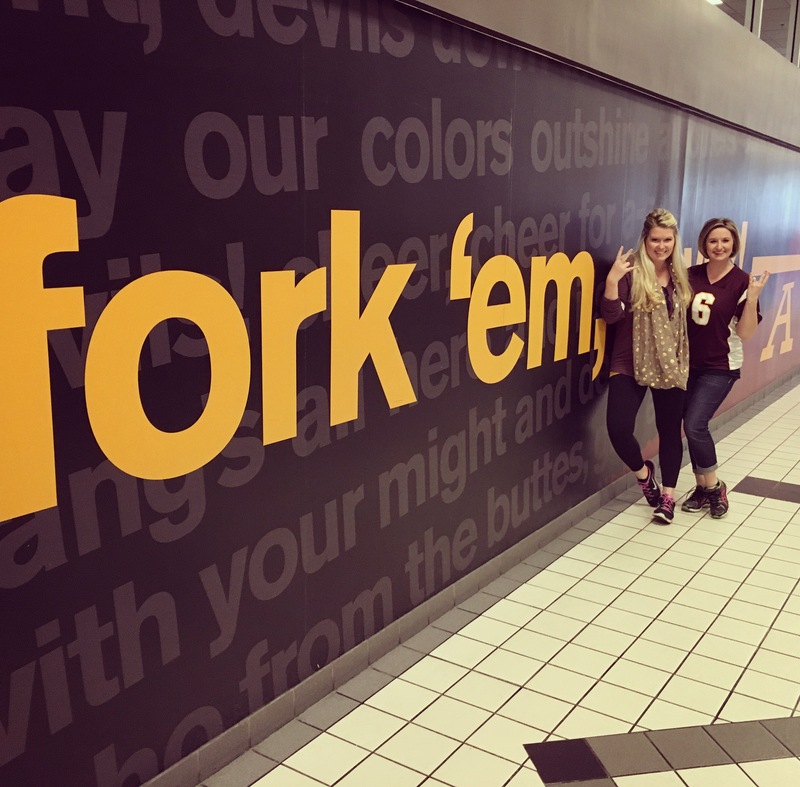 For all of my fellow Sun Devils … FORK ‘EM!